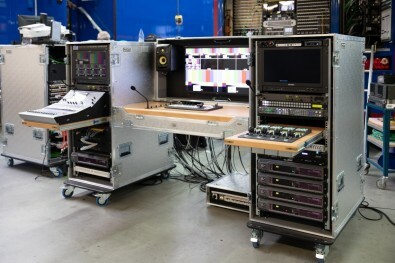 The first two production vehicles left Broadcast Solutions’ production facilities in December 2018. Belarus TV has four new high-definition (HD) outside broadcast vans and four mobile studios in a flight case, designed and built by German OB systems integrator Broadcast Solutions. The trucks will support live coverage of the summer 2019 European Games, in Minsk. The first two production vehicles were delivered in December 2018 and the other two will be completed by April, 2019. The new Broadcast Solutions production trucks, part of the broadcaster’s move to full HD production, feature a full complement of Grass Valley live production equipment. 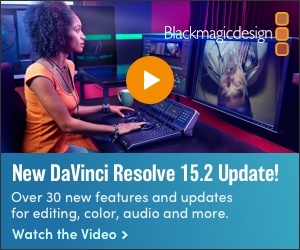 Each includes a Grass Valley Focus 75 switchable HD system camera, 18 LDX 82 HD cameras and two LDX 86 SuperSloMo cameras, a K2 Dyno S replay system, a Karrera K-Frame production switcher, Edius editing capability, a Sirius router and iQ Modular interfacing and signal processing. A Grass Valley T2 SD and HD audio/video record/playout system support on-board recording and editing. The audio section of each OB Van includes a Calrec audio mixer and audio router. IHSE KVM systems secure access to computers and workstations, and the intercom signals are processed using Riedel Communications Artist systems. Each of the mobile studio flight case studios is designed for four HD cameras, a FOR-A compact production switcher and Ross Video router, a KVM system from Guntermann & Drunck and a Yamaha audio mixer. All four OB Vans have an identical design and work as 20-ton semitrailers with two extensions. Each of the mobile studio flight case studios is designed for four HD cameras, a FOR-A Corp. compact production switcher and Ross Video router, a KVM system from Guntermann & Drunck and a Yamaha audio mixer. Belarus TV, which operates six television channels and five radio stations, is migrating from SD to HD and wanted to leverage more efficient and flexible workflows to optimize its live event coverage. Fitted out with a complete end-to-end HD workflow and infrastructure from Grass Valley, the new OB vans will enable the broadcaster to meet the growing demands from viewers for more live sports coverage and better quality images. Grass Valley’s has worked with Broadcast Solutions for several years, having previously worked with them to deliver a significant upgrade to two of Belarus TV’s production studios that included Kahuna production switchers, Sirius 800 routers and other Grass Valley equipment. The U.S. Department of Transportation (DOT) and Federal Aviation Administration (FAA) have announced a new Interim Final Rule banning the transportation of lithium-ion batteries in passenger aircraft cargo.